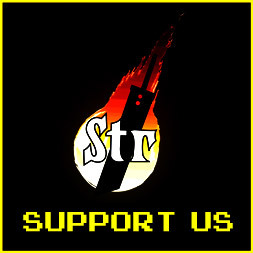 Home › Exclusives › FNAF 4 Most Terrifying of its Series! Well folks, it seems Scott Cawthon loves to have fun with his fans. This was certainly a shock, since my last article on Five Nights at Freddy’s, Scott Cawthon wanted to squeeze one last game out of the franchise, and this one seems to be unlike any of its predecessors. FNAF 4 or “The Final Chapter” has been announced, and it’s about time I wrote an article about it. I think we should start with all of the teasers. The first teaser was actually interpreted as the ending of the FNAF trilogy, but was the beginning of a whole new entry in the franchise. 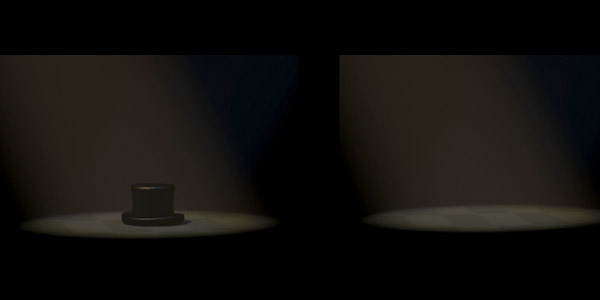 The first teaser was a picture of Freddy Fazbear’s hat, laying in the middle of a room, illuminated by a spotlight. The subsequent teaser was pretty much the same, except the hat was now missing. This caused fans of Five Nights at Freddy’s to go into a frenzy, pondering what the meaning behind it was, little did they know they would soon find out. The next set of teasers brought back all of our favorite friends from the original game. Yes indeed it can’t be a Five Nights game without the four originals. First came Freddy, hailing the news that there would be a fourth installment. He had a new reddish tint to him, animatronic parts were exposed, and most noticeably, he had smaller versions of himself crawling out of his body. 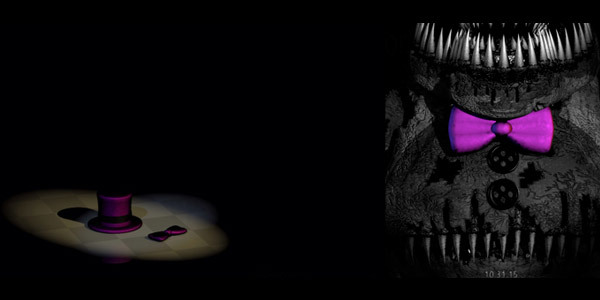 The three following teasers would proceed to show the other three main animatronics, Bonnie is back after going missing from the last installment, Chica brought her cupcake with her along with rows of razor sharp teeth, and fan-favorite foxy came without a nose and has an utterly creepy-looking flickering tongue. 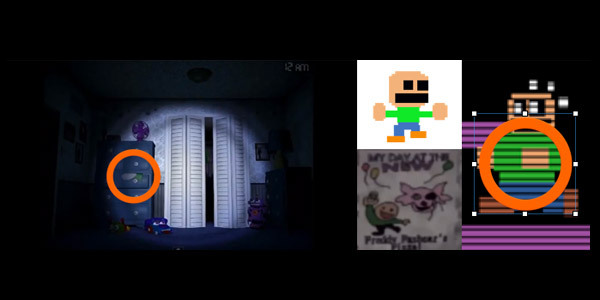 All showed the date October 31st, 2015 and each one when brightened would say “nightmare”. 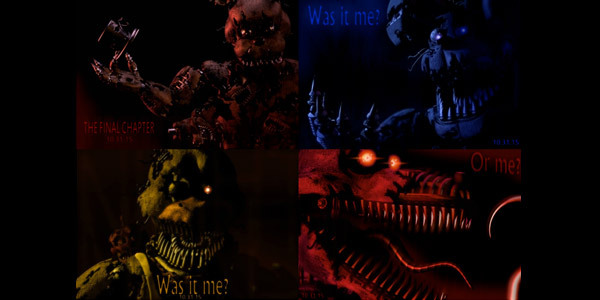 With the exception of Freddy’s teaser, all of the teasers asked questions like “Was it me?” and “Or me?”. These are probably in reference to “The Bite of ’87” which was one of the major inciting incidents for the series. The next two teasers would be very odd, due to their mysterious nature, but Scott would explain it in good time. The first showed a pink hat and bow tie bathed in light from a spotlight, very similar to the first two teasers. However, there was something more menacing in the background, a set of monstrous teeth glaring from a reflection in floor, and the next teaser would show the owner of the hat, bow tie, and the teeth. That teaser show a mystery animatronic who has a mouth in its stomach, and is wearing the pink bow tie. When brightened, the words in the background can be interpreted as “Or was it me?”. I’m sure we’ll see who this mystery “man” is in due time. The catalyst for me writing this article is that Monday, July 13th 2015 was the day that the trailer was dropped on to the internet, and suffice it to say that it was able to respark interest in the FNAF franchise, and I can’t really describe it myself so I’ll just let you watch it yourself. 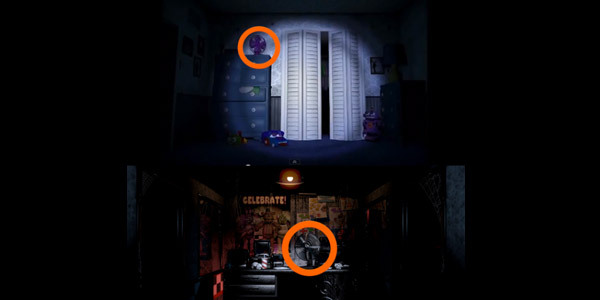 What I found interesting about this trailer is the fact that Bonnie and Chica came from the same sides that they attack on in the first game, and foxy appears to hide in your closet similar to how he hides in pirate cove in the first game. Much like the second game, you have to flash a light in his face and check on him from time to time to keep him in the closet (no, that’s not a gay joke). But the one thing that makes this game seem super scary is how your character doesn’t appear to use any form of camera system, so you’re left blind to your surroundings around you, giving an even bigger sense of isolation. 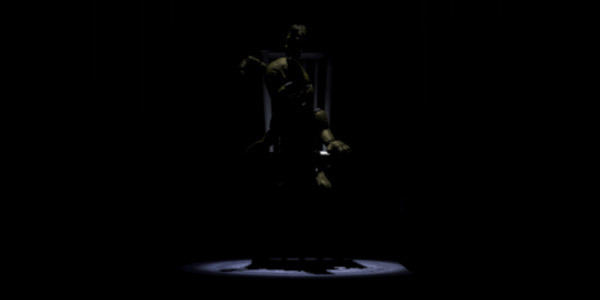 Pretty much all of the teaser images have said that the full game will be released on Halloween of this year (2015), and would take about six months to make, but Scott Cawthon recently sent out an email to a few youtubers saying that the game will be released of August 8th, which is the one year anniversary of the first game, which will mean that this whole phenomenon that took the internet by storm will have been happening for one year. The Halloween release date will not be for nothing though, as he has also said in the emails that there will be some free DLC to be released on Halloween night. 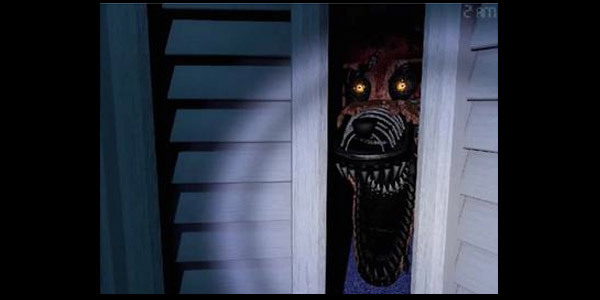 So, get revved up for FNAF 4 coming in August. Be sure to also check back, as I will be sure to write an article on the full game either when it comes out, or when Halloween rolls around as a Halloween special. Hey there buddy, you need a coat?